NEW DELHI (AP) — Most of the casualties in a train disaster that killed dozens of people in northern India were migrant workers, a former state government official said Saturday. R.C. 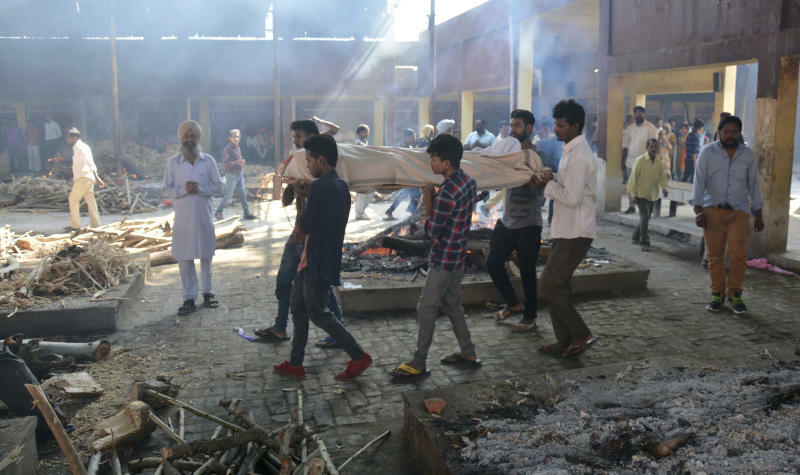 Yadav, former chairman of Punjab state's Workers Welfare Board, said that many of the 60 killed and dozens injured when a speeding train ran over a crowd celebrating the Hindu festival of Dussehra on Friday night had left their families in neighboring states to work in factories and shops in Punjab. Most "of those killed are these poor workers," Yadav said, adding that some earned as little as 7,000 rupees ($95) per month. A local branch of the Indian National Congress party had organized the event at a clearing near the railway tracks on the outskirts of Amritsar. Organizers erected a huge LED screen for the hundreds of people who gathered to watch the burning of the effigies of Ravana and other demons, said Yadav, who lives just a kilometer (half a mile) from the disaster site. As the fireworks started, the crowd moved backward onto the tracks for a better view when two trains crossed in opposite directions, giving people little opportunity to escape. 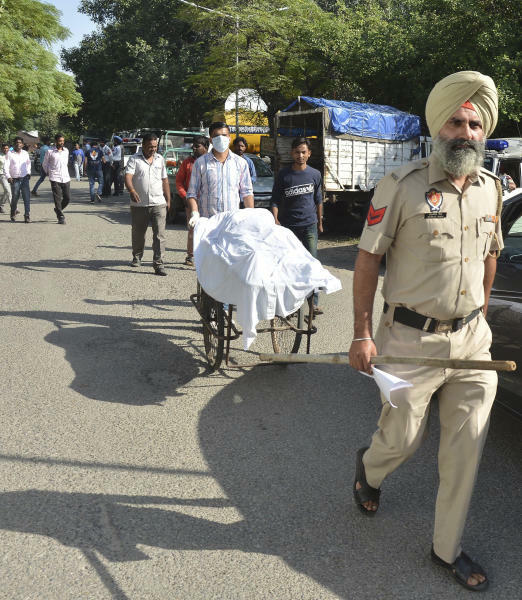 Police are investigating whether the organizers had a permit for the event and at what speed the train that ran over the crowd was traveling, said Amritsar's police commissioner, S.S. Srivastava. 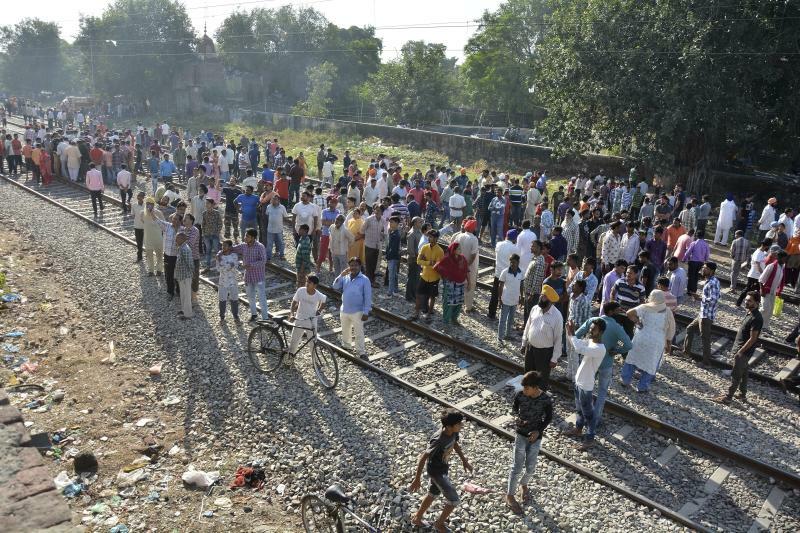 Navjot Kaur Siddhu, a local Congress party politician who was the chief guest at the religious function, said Friday that the celebrations take place in the area every year and railroad authorities are alerted to run the trains at slow speeds.